What is Slickshield Magnetic Windshield Protection Cover? It's a product that'll make your life a whole lot easier! Are you tired of getting into a hot and steamy car when the sun is beating down on your windshield? Perhaps, during the winter months you get stuck brushing snow and chiseling ice off your windshield. 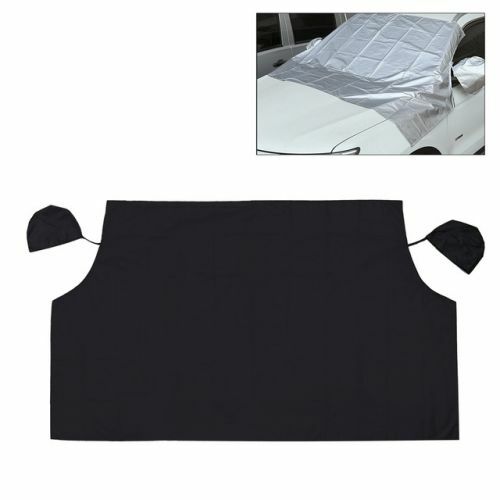 You can kiss these burdens goodbye with our double-sided windshield cover! No more freezing your hands, either. Speaking of hands, have you ever burnt your palms on a hot steering wheel? Not fun! Now, you can keep your car cool in the summer and ice/snow-free in the winter. The Full protection Windshield Cover is perfect for all seasons, hot or cold. Use the black side of the cover to keep snow and ice away and the silver side to reflect away the powerful rays of the sun. You'll save yourself so much time with our cover. No more waiting for your car to cool down or for the ice to melt off the windshield. EPIC 130DB WATERPROOF MOTORCYCLE SNAIL HORN THAT'LL BLOW YOUR MIND!